It is located on the West side of Florida, an hour and a half or so straight across Alligator Alley from Fort Lauderdale. Eclectic shops, insatiable dining, world class beaches and Rolls Royce's abound. Bounce on over to 5th Avenue for some great shopping, dining or strolling. Get on over for lunch at the Ritz-Carlton on Vanderbilt Beach or look for one of many incredible dinner locations. Naples is a slower pace. The sand is white. The beer is cold. The wine and spirits are flowing. 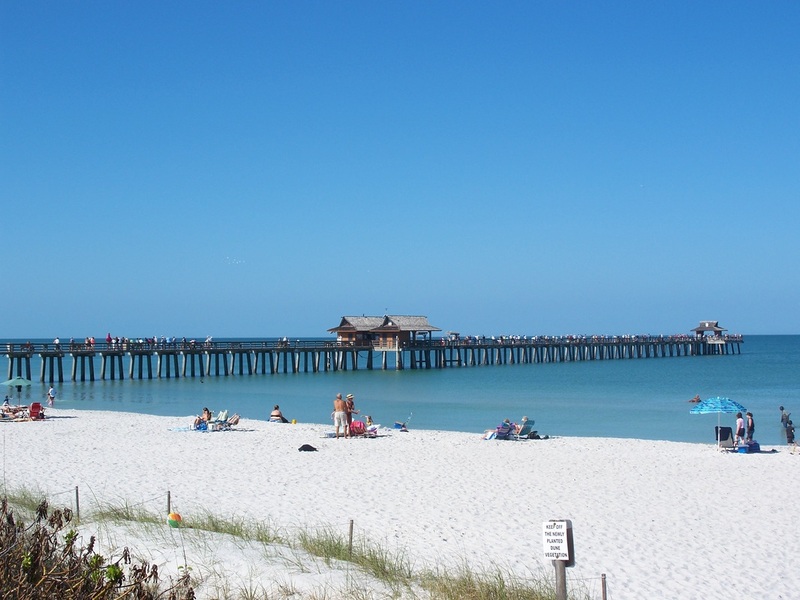 It is the destination of choice for many snowbirds and a slice of heaven. Just watch out for the alligators while you're making the crossing over to the sunset side.